Some investors in Hanover Group, the property financier that collapsed in July 2008, are to share $18 million after the Financial Markets Authority (FMA) settled with the company's former directors. The directors said in a statement issued later in the day that they don't believe the FMA would have been victorious in court action. The settlement comes after the FMA filed civil proceedings against directors and promoters of Hanover including former owners Mark Hotchin and Eric Watson in April 2012. The proceedings covered a period when investments and reinvestments in Hanover totalled $35 million. The former directors have not admitted any liability. Watson is not contributing any money toward the settlement. The FMA says investors eligible for compensation are those who invested, or reinvested, in the Hanover finance companies on the basis of the information in Hanover offer documents between 7 December 2007 and 23 July 2008, and who were not repaid in full. The $18 million will come from the directors of the Hanover companies Hotchin, Greg Muir, Bruce Gordon and Tipene O'Regan, plus Dennis Broit who the FMA alleges was a promotor of offers (something he denies), but not Watson, and their insurers. "We do not believe the FMA would have succeeded at trial," a statement issued by Hotchin, Muir, Gordon and O'Regan said. "Hanover ceased business in July 2008 because of the effects of the GFC on Hanover’s borrowers, not because of any mismanagement. We regret the loss of investors’ money." The FMA estimates the investigation has cost about $3.5 million, but also says about 10,000 hours of FMA staff time has gone into the case. It says about 5500 investments were made during the relevant period, but it is not able to quantify exactly how many investors may be involved as there may be double-ups. With the assistance of Deloitte the FMA is reconstructing the client list of the Hanover companies at the relevant time. The first payment is aimed for October. The FMA's director of enforcement and investigations Belinda Moffat estimated that the settlement could see eligible Hanover Finance investors get 14-17c in the dollar, United Finance secured stockholders could get 16-20c in the dollar and Hanover Capital bond investors 5-7c in the dollar. FMA chief executive Rob Everett did not want to be drawn on why Watson was not financially contributing. He said the relative contributions from defendants were "between them". FMA looked at the "aggregate offer" and the respective contributions of the parties were less of an issue. Moffat said: "What Eric Watson is contributing or not contributing is a matter for the defendants." She said there had been a careful negotiation process and the FMA was not able to talk about the detail. The Financial Markets Authority (FMA) has reached a settlement of its civil proceedings against the former directors of Hanover Finance Ltd (HFL), Hanover Capital Ltd (HCL), United Finance Ltd (UFL), together known as the Hanover finance companies, and the former directors of a parent firm, Hanover Group Ltd. As part of the settlement, $18 million will be distributed to eligible investors who invested in the Hanover finance companies in the period from 7 December 2007 to 23 July 2008. The directors of the Hanover finance companies (HFL, HCL and UFL) are Mark Hotchin, Gregory Muir, Tipene O'Regan, and Bruce Gordon. The directors of Hanover Group Ltd (HGL), which the FMA alleges was a promoter of offers made by the three Hanover finance companies, were Eric Watson and Dennis Broit. In the proceedings, the FMA claimed that prospectuses and advertisements distributed by HFL, HCL and UFL between December 2007 and July 2008 were misleading about the financial position of the companies in that period. The defendants deny liability and dispute the FMA’s claims. FMA chief executive, Rob Everett, said the decision to reach a settlement was very carefully considered within the FMA and with its legal advisers, to determine how best to serve the interests of investors and the broader public. The FMA believes that the terms of the settlement provide a better and earlier outcome for the relevant investors than going to court and also meet the FMA’s regulatory objectives in taking civil action. In addition to the settlement payment, Messrs Hotchin, Muir, O’Regan and Gordon, directors of the Hanover finance companies, have given voluntary undertakings not to act as directors of a bank or non-bank deposit-taker until 1 May 2018, without the prior written approval of the FMA. A breach of the undertakings can be enforced by the FMA through the Courts. Mr Watson and Mr Broit, the directors of HGL, have given representations to the FMA that they do not intend, now or in the future, to act as directors of a bank or non-bank deposit-taker. Mr Everett said, “we wanted to provide certainty and some compensation to investors in the 2007 offer. We believe the compensation secured now is the best outcome for those investors. This payment is likely to be greater than any recovery that might have been available at the end of a trial. Mr Everett noted that the outcome of any trial is always uncertain, that there is also the possibility of appeals, and this would postpone resolution for investors and for the public generally for several more years. The focus of the FMA’s investigation and civil proceedings was the offer made to investors in December 2007 and the related advertisements. The investors eligible for compensation are those who invested, or reinvested, in the Hanover finance companies on the basis of the information in these offer documents between 7 December 2007 and 23 July 2008, and who were not repaid in full. The FMA Hanover case was about disclosure to investors. It highlights the importance of accurate disclosure and that investors are entitled to know the true financial position of any company where they have entrusted their money. Property financier Hanover froze $554 million owed to 16,500 investors in July 2008. Investors' subsequently approved a moratorium proposal in December 2008 that pledged to pay them back over five years. Then a year later after getting back just 6 cents in the dollar, Hanover investors narrowly agreed to swap their Hanover debentures for shares in Allied Farmers valued at 20.7 cents each, which promptly dramatically collapsed in value. We were surprised and disappointed when the FMA decided to issue a civil claim against us at the end of 2011. We had spent more than a year assisting the Securities Commission, then the FMA, in their investigations. We had provided the FMA with a voluminous –and completely favourable- report from independent forensic accountants, and another from our solicitors. We, and the experts we had retained to report on Hanover affairs, thought it was clear that there had been no breach of the Securities Act, and that any fair and expert assessment, free of any political considerations, would lead the FMA to close its file. Hanover had excellent reporting systems and high quality management and governance. All directors at all times believed on reasonable grounds that the statements in the prospectuses were true. We do not believe the FMA would have succeeded at trial. Hanover ceased business in July 2008 because of the effects of the GFC on Hanover’s borrowers, not because of any mismanagement. We regret the loss of investors’ money. We decided to settle because of the cost and burden of litigation lasting for many more years, and because our insurers and former insurance broker made it possible to provide a payment which will go to the investors. We are pleased that this result for the investors has been possible. We agree with the FMA that this outcome for investors (and taxpayers) is without doubt far better than any likely result after trial in future years. Deloitte has been hired to manage the distribution process. The defendants will help Deloitte assemble a database of eligible investors. Hanover Finance Limited Secured Depositors 14 - 17 cents of the eligible amount. United Finance Limited Secured Stockholders 16 - 20 cents of the eligible amount. Hanover Capital Limited Bondholders 5 - 7 cents of the eligible amount. "This is a cents in the dollar calculation for each eligible investor based on a preliminary estimate of the total eligible amount for investors in each group as at 23 July 2008. It is still subject to verification and validation, therefore it is a preliminary estimate only," Deloitte says. There's more information here. The FMA's case was based on December 2007 prospectuses, subsequent Hanover advertising, and a March 2008 prospectus extension certificate. The FMA had sought declarations, pecuniary penalty orders and compensation for investors who made investments during the period 7 December 2007 to 22 July 2008. 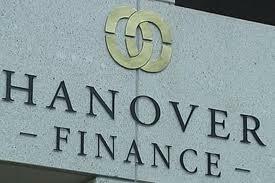 Separately, the Serious Fraud Office investigated Hanover, deciding not to proceed with criminal charges, although it was very critical of Hanover's disclosure, solvency, and related party transactions. Here's the full FMA-Hanover settlement agreement. (Potentially libellous comment removed, Ed). "Freezing orders over Hotchin's assets will also be lifted as a result of the settlement." In hindsight, the HG would have been better off just investing their pool of funds in residential housing and developments. thats the problem they invested in developments but they were all over valued and interest was capitalised so when the market dropped the developers could not pay it back. "The directors said in a statement issued later in the day that they don't believe the FMA would have been victorious in court action." Yea like anyone actually would believe a word from their mouths after all the BS from this disaster.